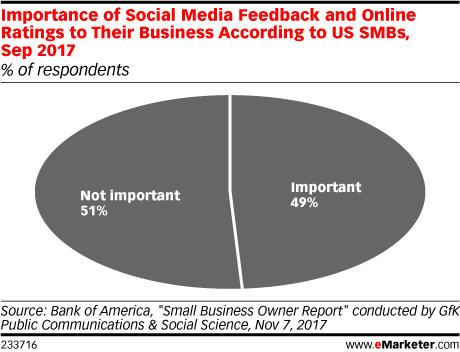 Data is from the November 2017 Bank of America "Small Business Owner Report" conducted by GfK Public Communications & Social Science. 1,013 US SMBs were surveyed online during August 8-September 28, 2017. Respondents have 2-99 employees with annual revenues of $100K-$5 million.